IEEE INSTRUMENTATION AND MEASUREMENT SECTION MALAYSIA CHAPTER | It is one of the IEEE Malaysia technical chapters. It is one of the IEEE Malaysia technical chapters. It is one of the IEEE Malaysia technical chapters. This Society is aimed at advancing the measurement science and metrology by developing new measurement methods, new methods for the characterization of the measurement results, and electrical and electronic instruments for the purpose of measuring, monitoring or recording various physical phenomena that may or may not be of an electrical nature. 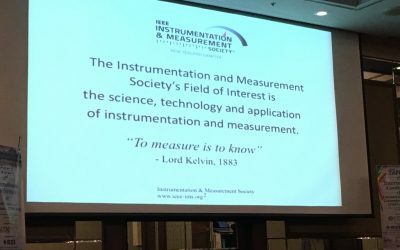 The IEEE Instrumentation and Measurement Society supports the I&M community with several high quality activities, including, but not restricted to, Publications, Conferences, Technical Committees, Standards. The Society is part of the IEEE and offers its members the services of IEEE, including access to the IEEE Xplore service. The IEEE Instrumentation and Measurement Society is dedicated to the development and use of electrical and electronic instruments and equipment to measure, monitor and/or record physical phenomena. The field of interest includes metrology, analog and digital electronic instruments, systems and standards for measuring and recording electrical quantities – in both frequency and time domains -, instrumentation and transducers for measurement of non-electrical variables, calibration and uncertainty, instruments with automated control and analysis functions, safety instrumentation, new technology applications. With scientific, literary and educational concerns, the Society seeks to promote a high level of technical excellence by encouraging close cooperation and exchange of information among its members. It sponsors and supports conferences and publications, and through its committees responds to the needs of the membership. The IEEE Instrumentation and Measurement Society is also an active membership sharing the same profession and interest, learning firsthand of developing technologies and uncovering opportunities for personal professional development. 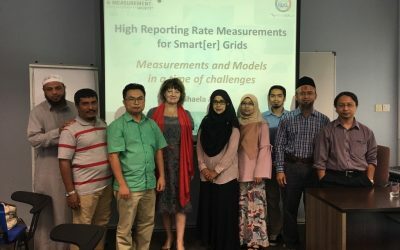 The IEEE Instrumentation and Measurement, Malaysia promotes and facilitates the Instrumentation and Measurement, activities of the IEEE Malaysia. The three Minutes Capstone Video Competition is now open! Get started and send us your submission!